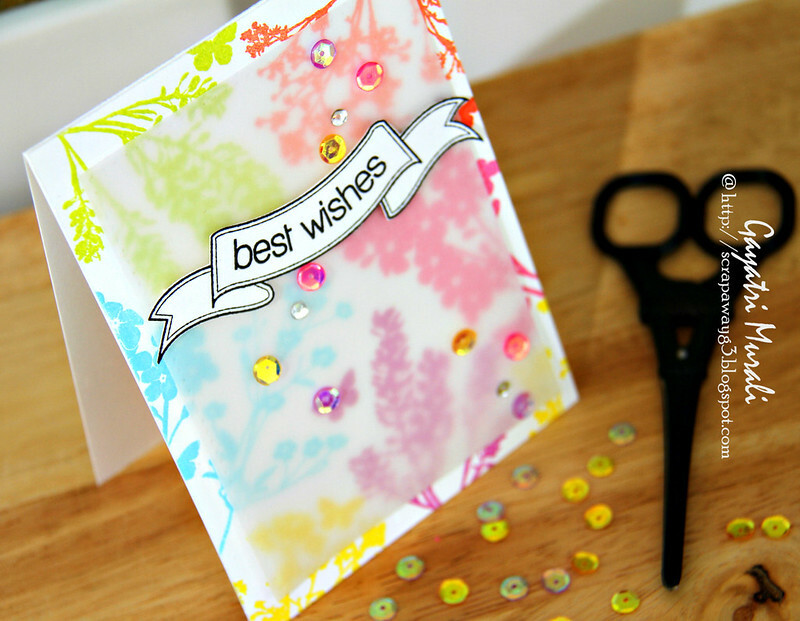 I am sharing with you a colourful spring card using Penny Black stamp set called Sprigs. I just wanted to play with something colourful today. 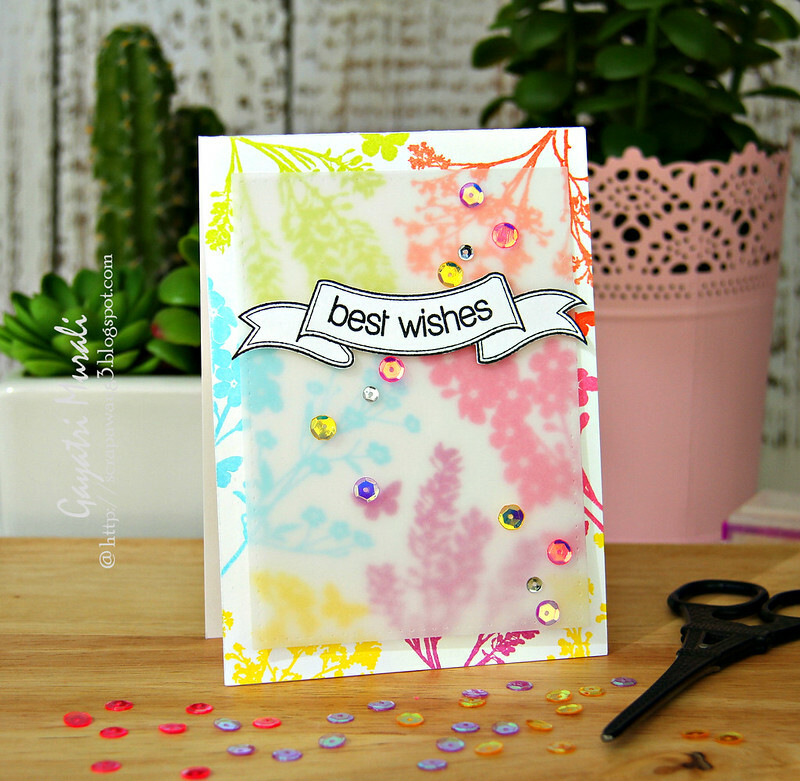 Although Sprigs stamp set is a silhouette stamp set, I decided to give a fresh and colourful feel to it. So I stamped the images from set in rainbow colours using pigment inks from Memento Luxe and Mama Elephant. So pretty and delicate. To soften the colour, I layered the card front with a layer of vellum. For the sentiment, I stamped the banner and sentiment from Come Rain or Shine stamp set also from Penny Black. Then hand cut the banner out and layered on the card front using foam adhesives. Finally I have used the new iridescent sequins called Peridot Mist, Sunshine Glow and Strawberry Burst from Pretty Pink Posh. stunning… the vellum is an inspiring touch. Great card. 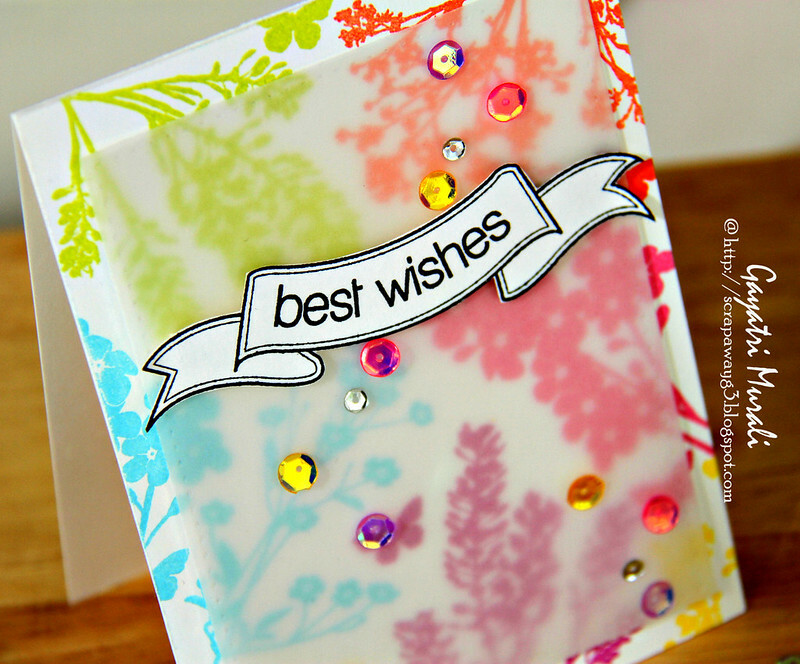 I LOVE the vellum overlay on the pretty bright sprigs!! Marvelous card Gayatri! Love the colours and awesome background created! So pretty. I love the ink colors.